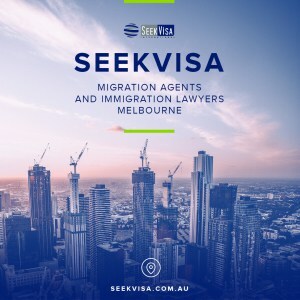 SeekVisa is a leading, Australian-owned, Melbourne based migration agency committed to providing clients with the fast, honest and affordable immigration solutions to individuals and corporations. Our expert migration agents specialise in handling all types of Australian migration visas including skilled visas, partner/defacto visa, parent visas, business visas, student visa, employer sponsored visas (ENS), regional employer sponsored visa, 457 visa and other services. We also assist clients with all other immigration matters, including visa refusal appeals. Whether you are applying for a family or student visa or you would like to get your cancellation or refusal reviewed, our expert migration agents will evaluate your eligibility and assist you to get an Australian Visa. Our qualified Australian registered migration agents in Melbourne have a vast understanding of the migration laws and regulations and policies. We know and master the various instructions and processes involved and will provide you with the proper immigration advice and strategy that will help you reach your migration goals. Given the ever changing legal regulations and policies, the migration process can be complex, stressful and time-consuming. Add to this the numerous types of Australian immigration visas that are available and it can become even more overwhelming. SeekVisa is based in Melbourne and Our Registered Melbourne migration agents provide you unique solutions for visa & education and migration services for Australia. Get in touch with one of our registered migration agents in Melbourne to help you with your enquiry. Looking for a reputable migration agent in Melbourne? SeekVisa has a team of registered migration agents with experience in management of a range of Australian visa applications from student visas to 457 Visas to Business visas, Partner and skilled independent visas. SeekVisa is a leading Australian and Melbourne migration agency that assists individuals and businesses with all types of visas to enter Australia. Our registered agents have more than 40 years combined experience working in the migration field in Australia and overseas. As registered immigration/migration agents in Melbourne, we help you to achieve your dream of studying, working and living in this beautiful country, Australia. Our immigration consultants have helped so many clients with their future in Australia. We will do everything in our power to help you gain your permanent residency in Australia. Australian immigration law firm based in Melbourne, Australia. Our registered migration agents and lawyers specialise in all types of immigration cases, including applications for permanent residence such as Family Sponsorships, Skilled Workers, Employer Nomination Visas, and Humanitarian cases; applications for temporary residence including TSS visas, Student Visas, and Visitor Visas; as well as REsident return Visas and Citizenship applications. SeekVisa also provides the full range of Australian immigration appeal and litigation services, such as Review before the Administrative Appeals Tribunal (AAT). Our Agents and Lawyers are registered with the Migration Agents Registration Authority (MARA). We are Certified as a Specialist in Immigration Law by OMARA, which is recognition of our status in this field. As licensed & registered immigration agents, we are authorized by the Australian government to represent clients in all types of immigration matters. We have over 50 years of combined experience exclusively in the field of immigration law, and have the expertise needed to successfully guide our clients through the complicated Australian immigration system. I am really excited and happy. Thank you so much for all your help with our de facto visa!!! You made us stress free and took away our worries, also you helped us explain each stage of the partner visa process. You are very professional and at the same time easy to communicate with. The personalised services made us feel special and cared about. We are very happy that we can be together and start a new life ! Thank you for being patient with us and our many many questions and your prompt replies. We appreciate all you have done and would certainly recommend you to everyone we know. My husband and I cannot recommend Simon at SeekVisa enough! His support in our partner visa process was simply amazing. He was incredibly helpful and I'm sure that without his help our process would have been so much more stressful! We applied offshore for the visa and despite the time differences Simon was always able to help us promptly, efficiently and clearly. He was so kind and patient and so helpful with all our questions and had amazing input that helped us to really make a solid application. Thank you so much to Simon and SeekVisa, because of thier services my husband and I are happily living together in Australia. So grateful! We spoke to numerous visa agencies before finding Simon and he was an obvious first choice for us, as said before, cannot recommend enough! If there is an office of lawyers specialising in the subject of migration and that I can recommend to eyes closed they are SeekVisa Immigration Office, Honest, professionals and they are incredible human beings, Thanks for all the guidance given to our needs, our expectations were surpassed. I recommend seek visa Immigration widely, they are a very professional team, extremely reliable, and the most important they understand your needs. They always are willing to help you! Thanks for all your support! To the best migration Agent ever...!! 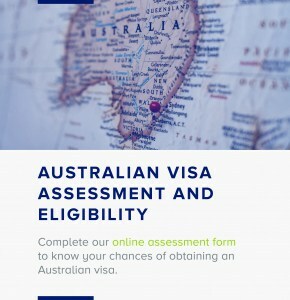 VisaSeek handle professionally and quickly, always providing the best legal and expert advice for each step, I highly recommend their services to anyone in need of an Australian migration agent; not only were professional but also understanding of every individual situation, thank you for the support in my case.